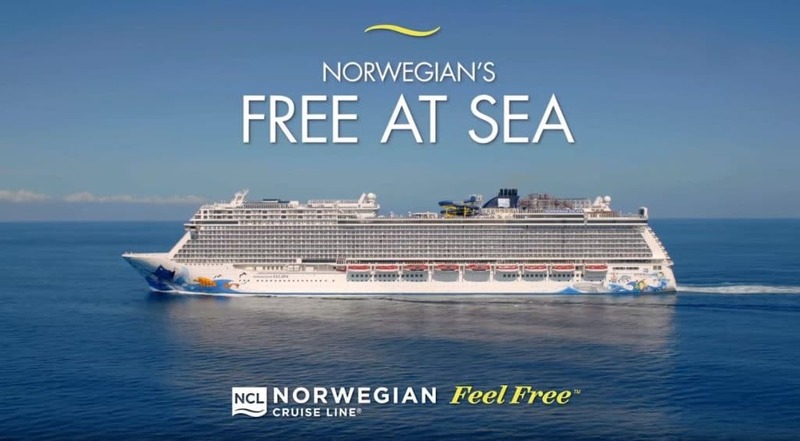 Norwegian Cruise Line has launched an all new global brand campaign, “Feel Free” moves the Miami based cruise line away from “Freestyle Cruising” and “Cruise like a Norwegian” which is often used in its videos and ads. The new campaign which began on January 4 is rooted in the line’s fundamentals of freedom and flexibility. To help launch “Feel Free” consumers can post their new year’s resolutions using #FeelFree for the chance of winning a 7-day cruise from NCL. The launch of “Feel Free” works hand-in-hand to communicate Norwegian’s new promotional offer Free at Sea. Norwegian’s Free at Sea promotional offer allows guests to choose from four free offers: free unlimited beverages, free specialty dining, free shore excursions or free wifi, delivering a very high value for their money.